Michael Gahan’s litigation practice encompasses professional negligence, medical negligence and injury litigation. He has tried cases for over 35 years before courts and juries throughout Northeastern Illinois. In addition, he has represented both employers and employees in Workers’ Compensation matters before the Illinois Workers’ Compensation Commission. In addition to injury litigation, Mr. Gahan has also tried commercial cases including contract, employment and business litigation as well as complicated probate matters. He has also argued cases before the Illinois Appellate Court. Mr. Gahan recently completed a 40 hour Mediation Training course conducted by the Illinois State Bar Association. He is a Certified Civil Mediator for both Will and Kankakee counties, and is available to mediate civil disputes. Mediation can be conducted at our offices or at a site chosen by the parties. Contact Mr. Gahan at this office to arrange for a Mediation session. 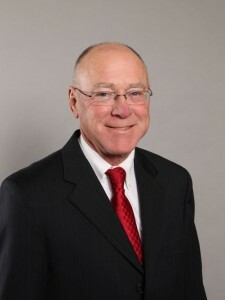 Mr. Gahan is a member of the Illinois State Bar Association and the Will County Bar Association. He holds the AV® Peer Review Rating from Martindale-Hubbell, its highest rating for ethics and legal ability. Mr. Gahan is a member of the Leading Lawyers Network, where he was selected by his peers as a Leading Lawyer in the areas of Medical Malpractice Defense Law and Professional Malpractice Defense Law (Including Legal/Technical/Financial). Lewis University (1975); Recipient of the Academic Excellence Award. Mr. Gahan taught a class in “The Legal Aspects of Health Care Administration” as an Assistant Professor at the University of St. Francis in 1995. He is the author of the Notre Dame Journal of Legislation article, “Compensating Crime Victims,” Spring 1978. In addition, Mr. Gahan has presented topics at Continuing Legal Education Courses for the Will County Bar Association.